Tax return season is here, which may be a very busy time for your institution. It’s also a time when many borrowers catch up on debts by making large one-time payments. Still other borrowers may ask a relative, such as grandma or grandpa, to make their loan payment this month, with the promise of giving them their tax return next month. Question is: does our software allow for someone other than the borrower to make a payment? Yes, our software can do that with one big caveat: as long as your institution allows it. Your institution’s policies and procedures must be followed in these instances, but if the proper identification or other procedures mandated by your institution are followed, then this topic explains how to take a payment using another source other than the borrower. Any payment information that is entered using the Other Payment Account option is not saved on the system. The following steps explain how to take an ACH payment from an alternate source. Use the Customer Search Screen in CIM GOLD to find the account. Access the Loans > Transactions > EZPay screen. Select the E-Check radio button. Check the Other Payment Account box. Enter the Routing Number of the checking or savings account used to make this payment. 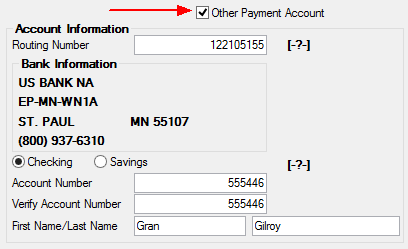 Select the Checking or Saving radio button to indicate the type of account. Enter the account number in both the Account Number and Verify Account Number fields. 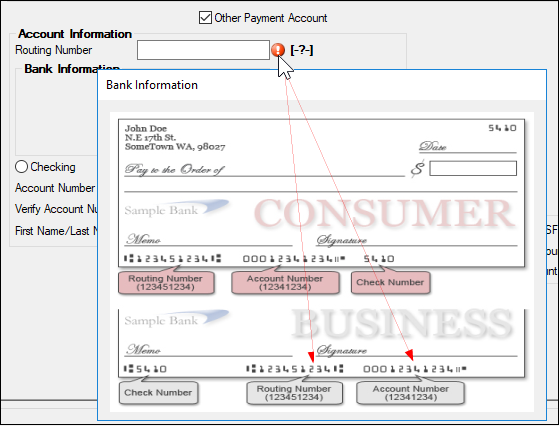 Tip: If you hover over the ?, a picture of a check will be displayed highlighting where to find the routing number and check number, as shown below:. 10. Enter the Payment Amount information. In our example below, the other payment is for $500. The system will process the payment accordingly. 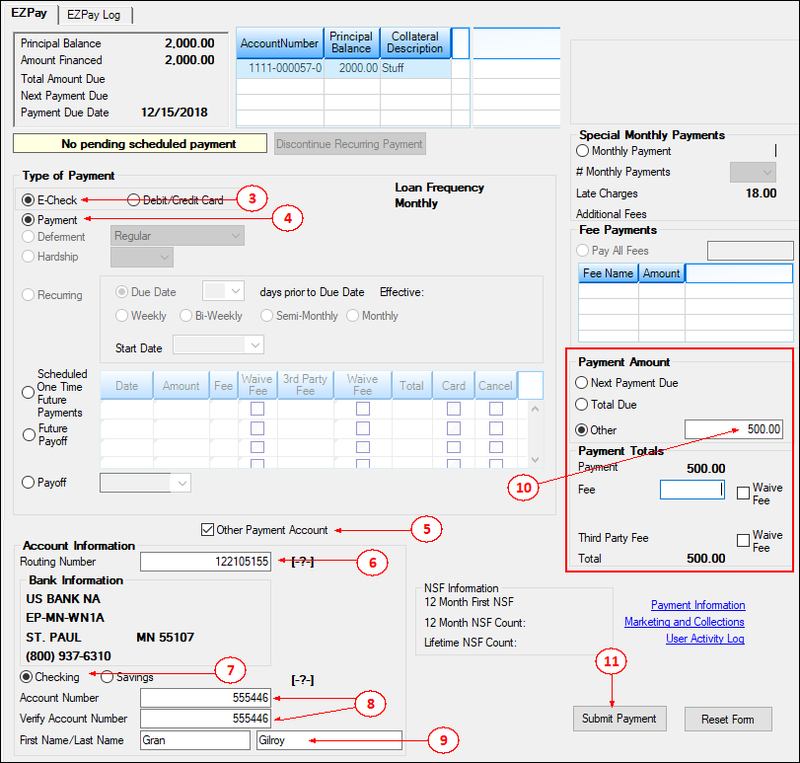 For more information on EZPay, see the EZPay User’s Guide in DocsOnWeb.